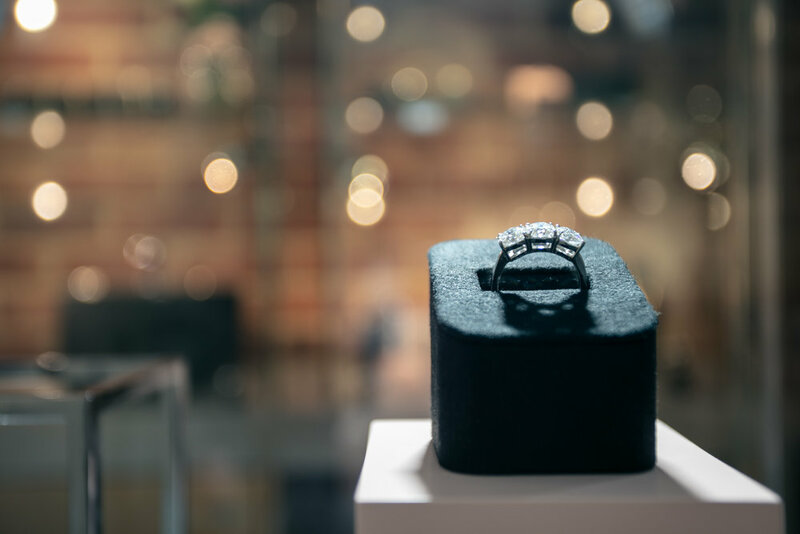 Crafted Jewellery is a modern, passionate family run jewellers that offers fine jewellery, watches and giftware as well providing on site jewellery repairs, valuations, gold buying and more. 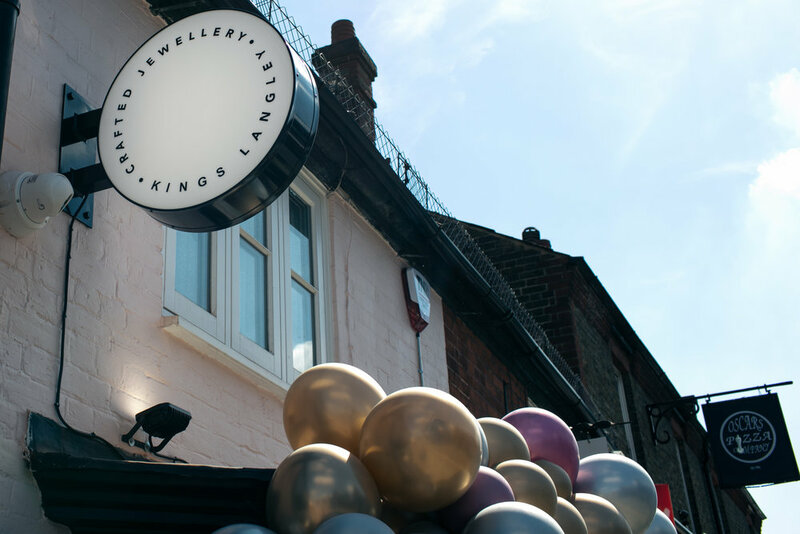 Our vision is to bring exceptional modern jewellery, quality customer care and value all in a comfortable, modern and relaxed environment. We feel that jewellery isn't just a personal ornament as the definition says. It's an expression of who we are, an extension of our personality and often a statement of love. We take great pride in every element of our business, from the jewellery itself, the client experience, all the way to the last packaging detail and we think it shows. Let us show you our different approach. Always happy to help and advise, click the button below to contact us with any questions you might have. We love talking all things jewellery! Say it with love, with an engagement ring from our stunning new 2019 collection. As unique and beautiful as the person you’re choosing it for. Choosing the right Engagement, Wedding or anniversary jewellery can be difficult. The industry can be a minefield so choosing the place you purchase from is often more important the jewellery itself. At Crafted Jewellery we want to create long lasting relationships with our clients and so we only give honest and informative advice. We feel our jewellery sells itself and so you’ll never get any pushy sales tactics from us. We carry a wide range of different style engagement rings such as Solitaires, Halo, Trilogy to name a few. Our designs also come in a range of precious metals such as Yellow, Rose and White Gold as well as Platinum. Being a brand that constantly strives to be current and ahead of any competition , we have just launched our new collection. New for spring 2019 it evolves some of our most popular designs. We’re here to help and offer our expertise, experience and advice so feel free to call us or pop in to our shop for a friendly, non obligatory chat. When designing our new showroom we felt it important to display our jewellery differently. We feel it right to respect the traditions of our industry but strive to be unique, current but most importantly different. In our showroom you will find silver giftware starting from £19 all the way to fine diamond jewellery. 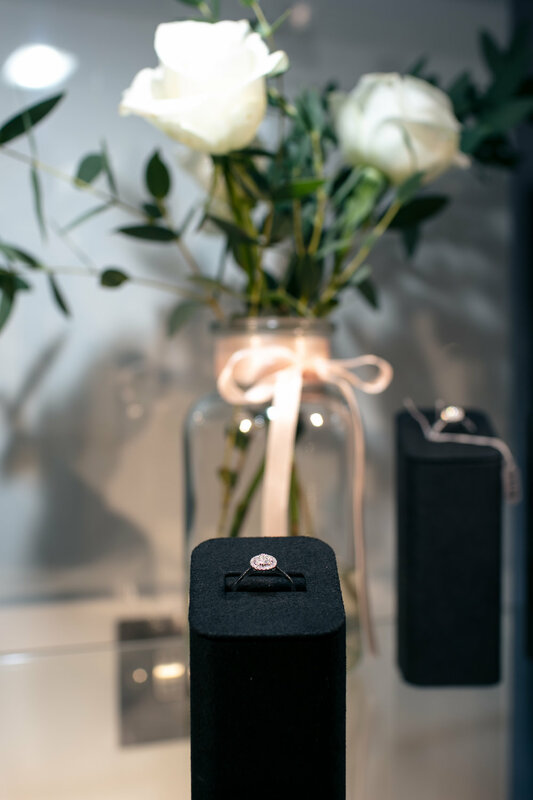 Every customer is important to us no matter how small the sale is, and this is why all our jewellery leaves our showroom in our super premium gift wrap and packaging. We felt it important to create trust within our new community and therefore be able to show our clients how we make, repair and size jewellery. We’ve setup a fully working workshop at the back of our showroom so that we can carry out customers repairs and resizes on site. Where imagination runs wild, coffee flows freely and faint ideas become believed treasures. We've worked in this place for some 30 years, there isn't many people we don't know well . The heart of the british jewellery industry is the base and home of all our creations and place we are proud to call home. At Crafted Jewellery, we're big on community and the freedom to express who we are. That's, in part, the reason we reside in Hertfordshire's beautiful Kings Langley. Bustling with modern, expressive and well thought out retails shops and restaurants there really wasn't any other location that came close when deciding where to open our first showroom.